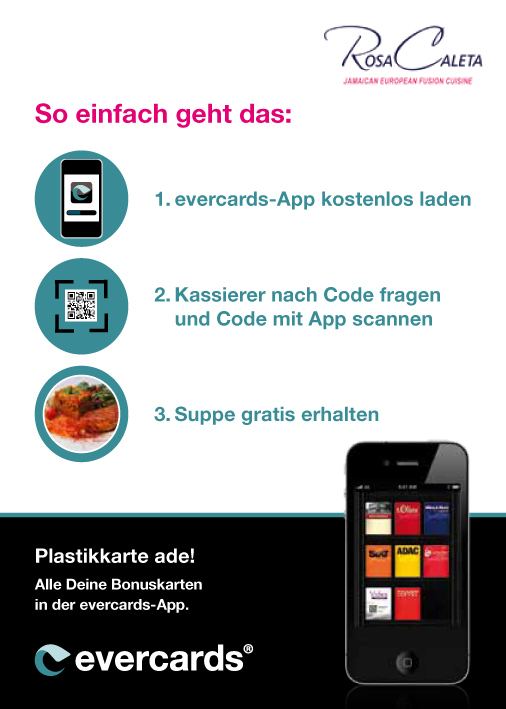 We are the first company in Berlin to join Evercards and with this app for your iPhone you can get reward points at RosaCaleta! 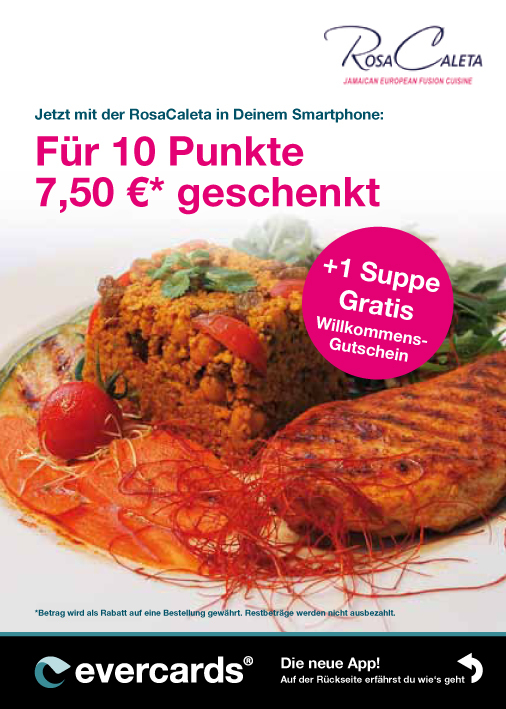 For each 10 points you get 7,50 Euro back*! For the moment, the app is only available for iPhone 3GS or later, but it is planned that the app will be available for other smartphones, too. *Amount will be deducted on an order. Not used reward will not be paid in cash.